What a couple of great games in each of the Monday leagues. Unfortunately both our teams lost 8-6. 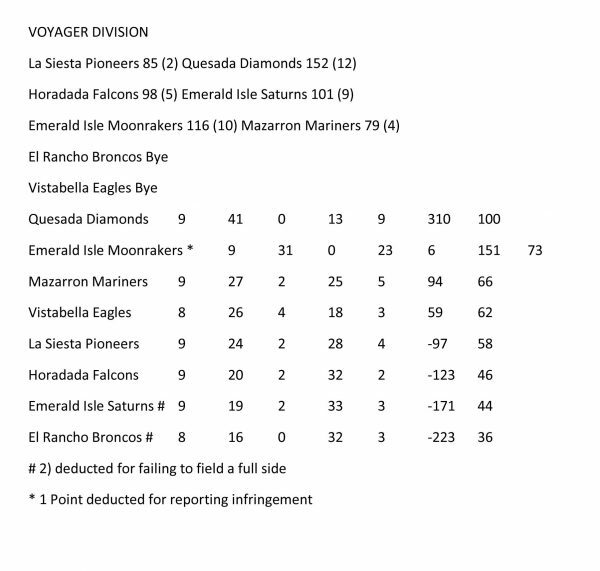 In the Enterprise Division the Explorers played San Luis Klingons away, both sides had 3 winning rinks but the space travellers got the overall shots. Alex Whyte, Dave Hadaway and Kathy Manning won 19-15. Likewise Tom Spencer, Mike Smith and Anne Stone beat the Jones’s 17-14 and the other winning rink by one shot, was Margaret and Rob Finlayson with Maureen Kidd. So to the Discovery League where the Pathfinders at home played La Siesta Apollos. How about this for a close result, two wins each, two draws each, two losses each and the Apollos had one shot advantage to get the extra points. Colin and Lynn Armitage with Clive Pratt and also Jean Perchard, Bernie Carr and Peter Bailey both drew 17-17 all against their opposition. The two winners were John Morgan, Paul Tregoing and Mo Taylor plus John Withers, Martin Butler and Alan Wilcock. I bet that doesn’t happen very often unless Arthur can tell me different. Winter League in the true sense and a little bit of history in our case. 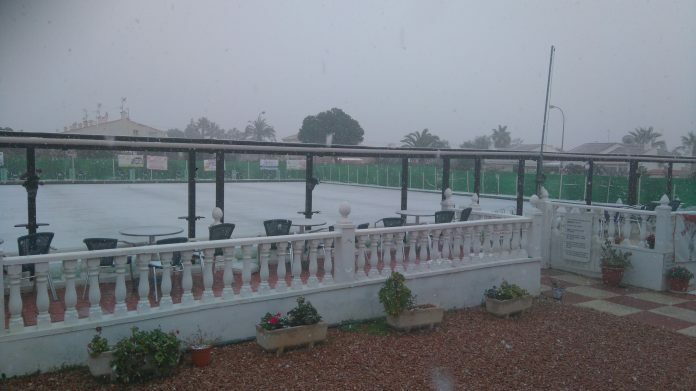 Went to La Siesta to play our match only to be snowed off. Never before in La Marina history. With the torrential rain that followed on Thursday the Dolphins and the Sharks had their games called off. The Seagulls played San Miguel Jaguars in glorious sunshine on Friday afternoon only to lose 10-4. Disappointing but they were a good side. Sue Daniels, Mike Stone and Mo Taylor had a fine win and so did Colin Armitage, Arthur Cronk and Ann Stone. 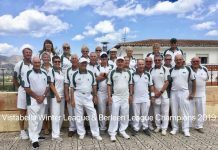 SAN LUIS BOWLS CLUB REPORT 20.01.17. Talking about the weather is quite normal for us Brits, but even our Spanish neighbours have been amazed by this week’s events. South Alicante Winter Triples: Monday 16th, Enterprise Div. SL Klingons home v LM Explorers, useful points 8-6, 106 shots-91. Winners: Shirley Verity, Jo & Julian Pering 17-14, Colin Jackson, Sabrina & Russell Marks 26-8, Kath Reid, Keith Phillips, Giuseppe Galelli 20-18. SL Trekkers, away v VB Albatrosses had a tough match 4pts-10, 79 shots-108. Winners: Margaret & Barry Roseveare, Neil Morrison 14-13, Mags Haines, Derrick Cooper, Brian Pocock 15-11. Discovery Div. SL Romulans, away v a strong EI Titans team, took 4pts-10, shots 86-146. Well done to: Sheila Reynolds, Derek Smith, Margaret Clarke 22-19, Kath Waywell, Chris Phillips, Harry Epsom 17-12. 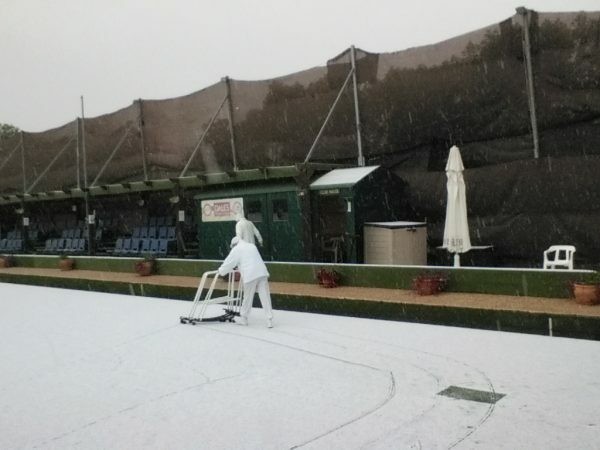 Winter League: Wednesday 18th away v Greenlands, was “SNOWED OFF” to be replayed Tuesday 31st. Just when we thought the weather couldn’t give us any more surprises, suddenly there was snow- it came at different times and different ways from big, soft snowflakes drifting down at 8:00 am. around Horadada, Cabo Roig & La Florida but only reaching Greenlands, where it was initially clear and dry, around 10:00am. Suddenly there was a white cloud of mini “polystyrene balls” type snow smothering everything. In a pre match test the jack was able to travel a few feet before stopping, the bowls ran a short distance before turning into “snow-bowls” as they ground to a halt. Div C SL Bazas home v EI Shamrocks, all matches to be re-arranged. 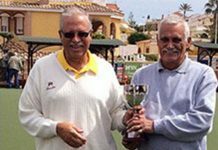 Finally the elements relented to allow the matches to be played; Friday 20th LLB Southern League, SL Lions a bad day at the office v MM Matadors, although very close on shots 105-108, points 2-12. Winners: Pat & Graham Bird, Peter McEneany 19-14. SL Tigers away v VB Picadores, a tough match: shots 95-136, 4pts-10. Well done to: Allen Bowen, Les Bedford, Sue Cooper 21-12, Margaret & Barry Roseveare, Neil Morrison 22-14. SL Pumas home v MM Toreadores, useful points 6-8, 90 shots-113. Winners: Chris Lythe, Margaret Clarke, Norman Stephens 20-16, Margaret Stephens, Terry Baylis, Geoff Shand 23-9. That was a week that was! Monday’s S.A. Leagues proceeded quite normally with the Enterprise Albatrosses at home v San Luis Trekkers, a nice win to start the week. G Paylor, S Allman & E Bishop 30-13. B Regan, D Howard & A Brown 21-12. S Kirk, StJ Broadhurst & J Bowman 17-13. L Watkins, S Burrows & M Furness 16-12. Shots, VB 108 (10) – 79 (4) SL. 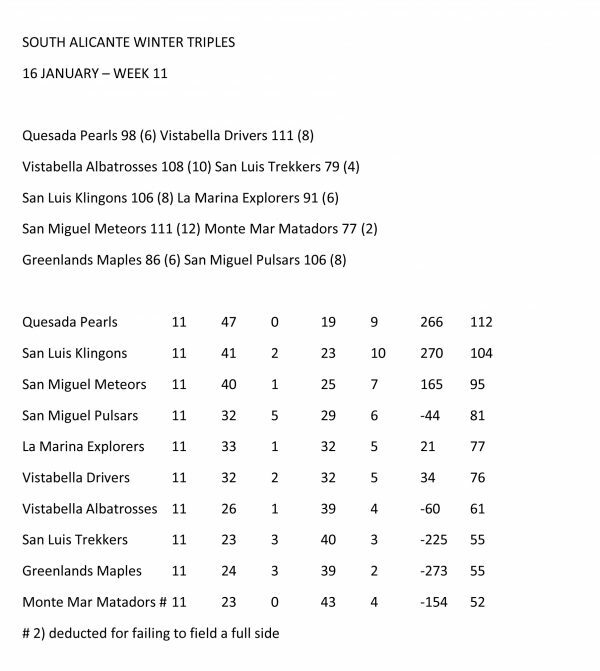 The Drivers did really well away to Quesada Pearls, winning three rinks and the long game. P Rafferty, D Chaplin & C Thorpe 20-8. S Whitehall, M Foulcer & Pat Rafferty 25-13. J Chaplin, S Norris & I Kenyon 20-10. Shots,VB 111 (8) – 98 (6) Q.
Voyager League Eagles had a bye. Winter League snow-bowling! With snow falling all around, our home game v San Miguel got off to a tricky start, it was adjourned after five ends and resumed after hot drinks and a break in the weather.. though only briefly, sufficient ends were played before it became too difficult. Terrible freezing conditions out there but pleased to get the game played. Well done everyone concerned and it was a good win for the home team. L Bishop, P Tomkins, A Brown & I Kenyon 16-6. L Watkins, T French, C Thorpe & M Furness 16-8. B Regan, C Watkins, S Allman & B Dunn 11-6.S Burrows, B Brown, M Regan & G Thorpe 13-10. Shots, VB 67-(10) – 44-(2) SM. San Miguel won the Berleen. Fed 4’s match was cancelled due to heavy rain. Southern League Lanzadores and the Conquistadores were both cancelled but the Picadors home match against the San Luis tigers went ahead and ended with a great win. D Gunning, J Neve & M Foulcer 37-9. S Kirk, B Pointon & C Thorpe 25-16. F Barclay, B Ewart & G Thorpe 26-13. T French, S Norris & B Norris 22-14. Shots, VB 136 (10) – 95(4) SL. 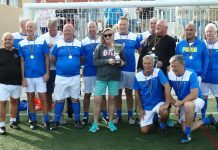 Monday found The Pintos playing away to Monte Mar Torreadores, a venue most of us enjoy playing, certainly I do, but alas, quite rightly it was my turn to be rested. The Pintos came away with 2 rinks and judging by the shots, several rinks could have gone either way, a fair result. Judy Foley, Ann Taylor and Jim Taylor 18-17. Pam Harris, Liam Foley and John Skipper 15-20. Emma Walsh, Brian Harris and Merv Armstrong 12-27. Val Ryder, Barry Bright and Geoff Jones 15-19. Henry Ryder, Jan Bright and Richard Lee 16-23. Jim Gracie, Irene Thomson and Eddie Thomson 17-16. Meanwhile The Broncos had a bye and played a friendly match against Vistabella. On Friday The Mustangs played The Cougars at San Miguel, on a saturated mat that remained so despite the day changing from miserable to glorious, within the duration of the match. But the mat was playable and we had a good close match in great company. The Mustangs came away with two rinks and one drawn, a good result with just a 13 shot deficit. Jim Taylor, Irene Thomson and Eddie Thomson 24-11. Ann Taylor, Malc Sykes and Jim Gracie 20-23. June Whitfield, Jane Hamill and Stew Hamill 19-19. Henry Ryder, Merv Armstrong and David Whitworth 7-23. Judy Foley, Keith Cunningham and Geoff Jones 13-24. Barbara Jones, Sheila Cooper and Carolyn Harris 17-13. Fri 13th Jan. E.I. Claymores v La Siesta. A bad day at the office for the Claymores only winning on one rink & losing the shots by 79-134. Points 2-12. Our winning rink: John Jarvis- Ed Shepherd – Jim Mulloy. (12-4). 13th Jan. E.I. Outlaws v E.I. Roundheads. A great result for the Outlaws, winning on 5 rinks, & Shots by, 117-77, Winning rinks for Outlaws: Maureen Foulds- Tony Harris-Ernie Bennett (26-9). Lil Harris- Sheila Wickens- Ally Burns (20-13). Maureen Jeffs – Robin Adams- Frank King. (17-13). Vic Cameron-Mike Petty-Alec Fay-(25-9). Linda Burns- Glyn Inwood- Ron Ede. 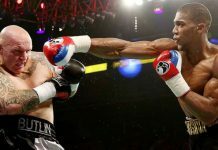 (20-12). Roundheads winners: Bernie Evans- Tony Capewell- John Evans. (21-9). Just what the Outlaws needed, Bad luck Roundheads. Mon 16th. E.I. Moonrakers v Mazarron Mariners. A fine result for the Moonrakers, winning on 4 rinks, & shots by, 116-79, Points-10 – 4. Winning Moonrakers: Maureen Foulds- Tony Harris- Ally. Burns (24-14). Lil Harris- Sheila Wickens- Alec Fay. (25-7). Robin Adams- Frank King- Margaret Breen. (18-9). Vic Cameron-Maureen Jeffs- Ernie Bennett. (24-11). Welcome back to Margaret Breen, our new Capt. E.I. Titans v San Luis Romulans: A great result for the Titans, winning 4 rinks & the shots by, 146-86. Points 10-4 to the Isle. 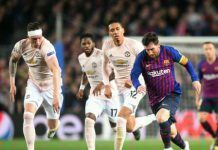 What a win against a very good team. E.I. Winners: Jean Parkes- Lin Day- Paul Parkes- ((21-18). Mary Whitelock – Colin Highland – Mike Stacey. (18-16). Mel Highland- Ron White- Ann Marie Stevenson. (26.7). 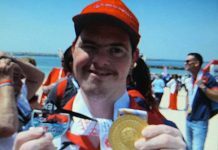 Dennis Rhodes- Keith Jolliffe – Drew Gerrard. (50-6). Dennis, Keith & Drew, you are now Legends in your own lunchtime. 16th Jan. E.I. Neptunes v Greenlands Sycamores. Another very good win for the Neptunes, winning on 4 rinks & taking the shots by, 127-90, Points- 10-4 to the Isle. E,I. Winners: Carol Donnellan- Brian Kavanagh- Dennis Birkett. (40-7). Margaret Riley, Barbara Eldred- John Mullarkey (23-10). Barbara Doran- Cas Thomas-Mike Thomas. ((22-19). John Jarvis- Ed Shepherd- Jim Mulloy. (19-18). Just what the Neptunes needed. Regret no result submitted for Saturns so no report, sorry. Winter League, Wed 18th. And then came the SNOW, no game! Thursday 19th, Fed 4s. Now wind rain & Thunder, What is. Going on? Happy Bowling, Robin (the scribe) Adams. In the Enterprise Division the Maples were at home to San Miguel Pulsars. Final score was: total shots for – 86-106 against. Points for 6-8 against. Winning rinks were Dennis Brown, Chris Dewar, skip Sue Brown. 19 – 11. Sandra Jones, Zoe Wilcock, skip Jim Wilcock. 15 – 12. Jean Thompson, Joan Oliver, skip Marilyn Fryatt 21 – 15. In the Discovery Division, The Sycamores were home to Emerald Isle Neptunes. Final score was: Shots for 90-127 against. Points for 4-10 against. Winning rinks were – Diane Lawton, Mary Lockley, skip John O’Brien. 17 – 15. Jean Giddings, Phil Lockley, skip Graham Watt. 19 – 8. The Apollos continued their challenge for promotion by the narrowest of wins way at La Marina Pathfinders the overall shots score being 104 shots to 103 in favour of the Apollos. Two matches were drawn with score being 17 apiece whilst the 18-11 win by Robert and Ann Heath with John Ball being the highest margin victory. 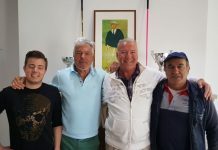 Barbara and Jack Cooper with George Richardson managed a narrow 17-15 win against their opponents this ensured that La Siesta picked up 8 points to La Marina’s 6. The Pioneers entertained promotion challenging Quesada Diamonds and this showed in a resounding win for the Diamonds by 152 shots to 85.The winning rink for The Pioneers was achieved by Dennis Andrew, Val Dalton and Fred Charman by 21 shots to 19 which included nearly getting a hot shot with 8 points scored on one end. The overall points being 12-2 to Quesada. 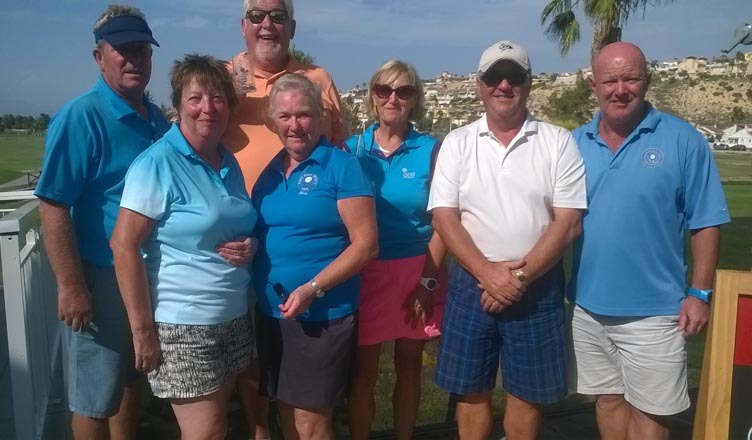 In the Fed 4’s the Hoopoes travelled to Montemar Picadors in windy and cold conditions and came back with a 6-2 win by 62 shots to 48 with the winning rinks being Barbara and Jack Cooper with Bill and Sue Jordan 27-10 and Val Dalton, Jean Hepehi with Florence and Mike Edwards winning 28-14. 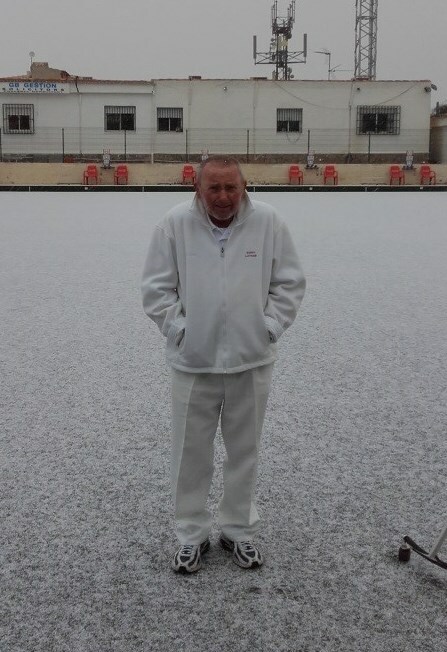 On Wednesday morning the Winter League match at home to La Marina was postponed due to snow. Yes, snow. The fixture has been re-arranged for the following Sunday. Due to the inclement weather the Blues match has been postponed and with the Golds having a bye nothing further to report this week. Monday January 16th – Monte Mar Toreadors v El Rancho Pintos. A lovely January day, if a bit windy for bowling. The Toreadors reversed there defeat earlier in the season at El Rancho with a good overall performance, winning on four rinks and losing on two rinks by one shot on each of the rinks. Well done to the winning rinks of Sheila Roberts, Dave Roberts and skip Ron Jones, Lesley Jones, Rita Towle and skip Joan Harding, Cliff Norris, Howie Williams and skip Graham Smyth, Jan Soars, Chris Harding and skip Mick Soars. Shots Toreadors 122 – 93 Pintos. Points Toreadors 10 – 4 Pintos. Monte Mar Matadors v San Miguel Meteors. Winning on one rink well done to Ethal Finan, Chris Merry and skip Tony Finan. Shots Matadors 77 – 111 Meteors. Points Matadors 2 – 12 Meteors. A fantastic result winning on five rinks. Well done Sue Kemp, June Young and skip Brian Zelin. Pauline Merry, David Eades and skip Chris Merry. Geraldine Fisher, Mike Farrelly and skip Gordon Fisher. Keith Simpson, Joe Ridley and skip Diane Ridley. Ethal Finan, Val Hignett and skip Tony Finan. Shots Matadors 108 – 105 San Luis. Points Matadors 12 – 2 San Luis. Monte Mar Toreadors v San Luis Pumas – Very unexpectedly after the recent weather we arrived on the rink at San Luis in bright sunshine. Despite the fact we played with one rink short which meant we conceded two points and ten shots before we started we secured a win. So well done to the winning rinks of Cliff Norris, Howie Williams and skip Graham Smyth. Rita Towle, Bill Webster and skip Joan Harding. Sheila Roberts, Jan Webster and skip Barrie Woodvine. Shots Toreadors 113 – 90 Pumas. Points Toreadors 8 – 6 Pumas. 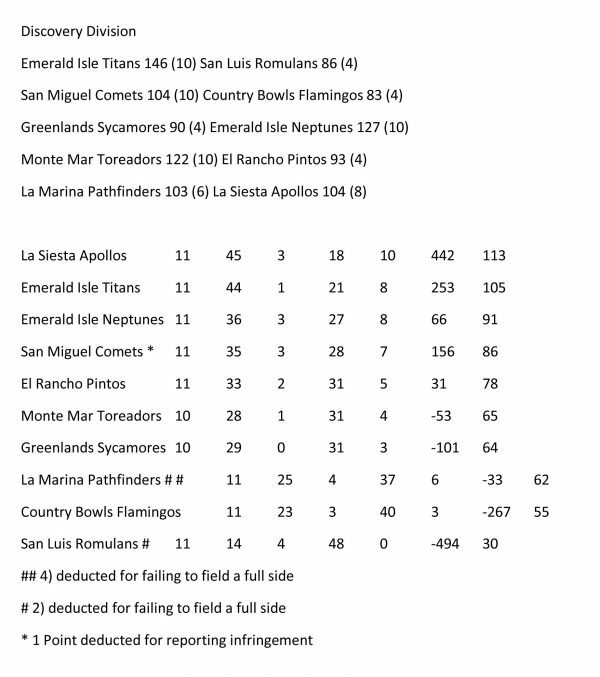 San Miguel Comets had a good result against Country Bowls Flamingoes winning 10points to 4. Well done to Bill & Joyce Reeves, Mike Bayfield 16-13: Meg Brownlee, Jim Jarvie, Carl Eagle 19-12: Bob Nesbitt, Dave Champion, Barbara Scotthern 33-9: Sheila Erringt:on, Frank Scotthern, Brian Errington 15-9. Shots for 104 – Against 83. The Pulsars won 8-6 at Greenlands, total shots 106 for, against 86. Peter & Brenda Rees, John Staden 25-9: Alan & Sheila Booth, Gary Raby 25-9: Eileen McLaren, Tom Dalgleish, Eddie Cowan 21-13. The Meteors had a great result at home against Monte Mar Matadors winning 12-2. Reg Cooper, Cliff Plaisted, Steve Cantley 28-12: Val & Chris Collier, Stuart Denholm 17-15: Noel Davis, Lee Sinclair, Lynn Greenland 20-13: Carol Rudge, Don Whitney, Stuart Hemmings 19-12: Brian Miller, Mary Dyer, Lin Miller 17-9. Shots for 111- against 77. 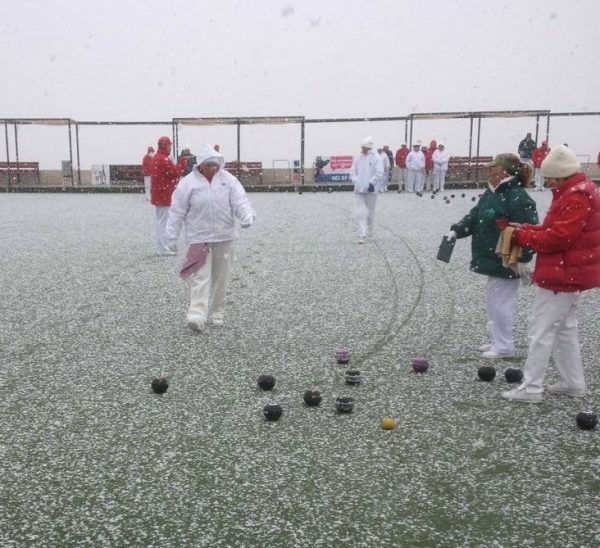 Believe it or not, the Winter League played their game on the snowy Wednesday at Vistabella. Couldn’t have been at a worse green, which is totally exposed to the elements!! After playing 5/6 ends they had to stop due to heavy snow, they had a coffee break for 45 mins, then resumed playing. At the time they were winning on 3 rinks. Due to further heavy snow, they had to stop playing on the 14th ends. The final result being San Miguel 2 points, Vistabella 10 points. The winning team Cliff Plaisted, Val & Chris Collier, Stuart Denholm 14-11. Well done to the Berleen who also won. Total shots for 44 – against 67. Team Captain would like to thank all who played in dreadful conditions, and has promised hot toddies all round!!!! All Fed 4 games were cancelled on Thursday due to flooded greens and heavy rain. Please contact team captains for rearranged times. 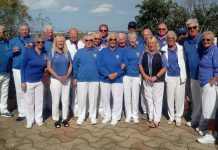 In the Southern league, the Jaguars had a good win away at La Marina winning 10 points to 4, with a great shot difference, 126 to 86. Very well done to Eileen McLaren, Eddie Cowan, John Raby 19-13: Ken Hope, Sheila Booth, Gary Raby 17-13: Anita Brown, Ron Nairey, Paul Thomas 22-12: Pat McEwan, Janet Thomas, Dave McEwan 39-5. The Cougars won 9-5 against El Rancho Mustangs, with Bob Nesbitt, Peter Ross, Bill Brownlee 19 across: Sheila Errington, David Champion, Brian Errington 23-7: Bill Reeves, Carl Eagle, Mike Bayfield 23-20: Bill Moseley, Jim Jarvie, Frank Scotthern 24-13: Total shots 113 for – against 100. 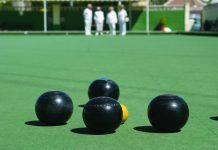 For further details on San Miguel Bowls Club, please contact the President, Eileen Potts, telephone 966730376 or Secretary, Pat McEwan telephone 966714257.